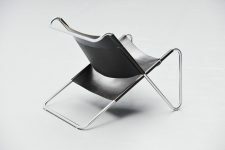 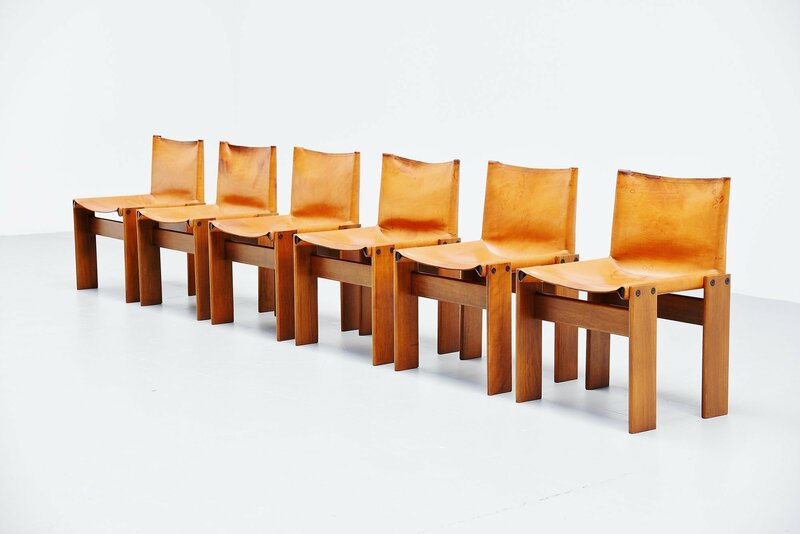 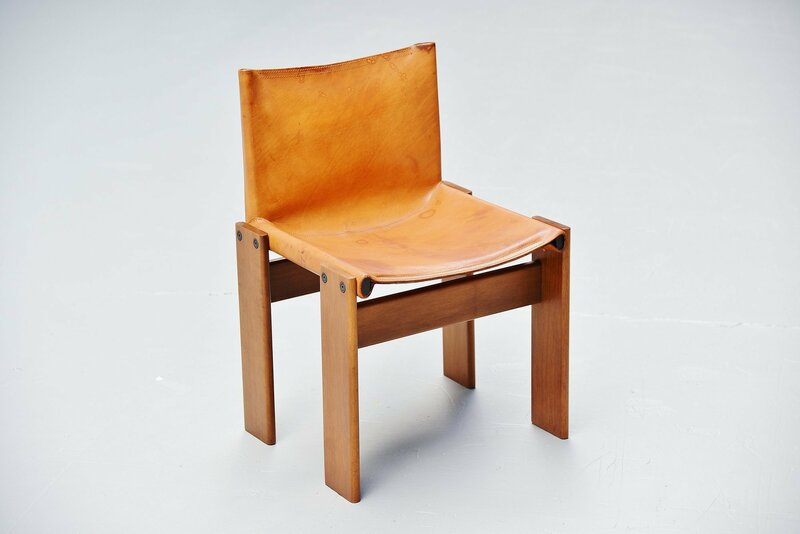 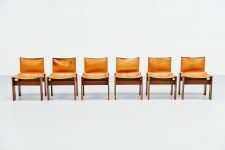 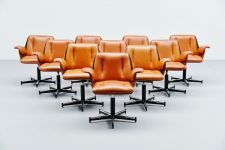 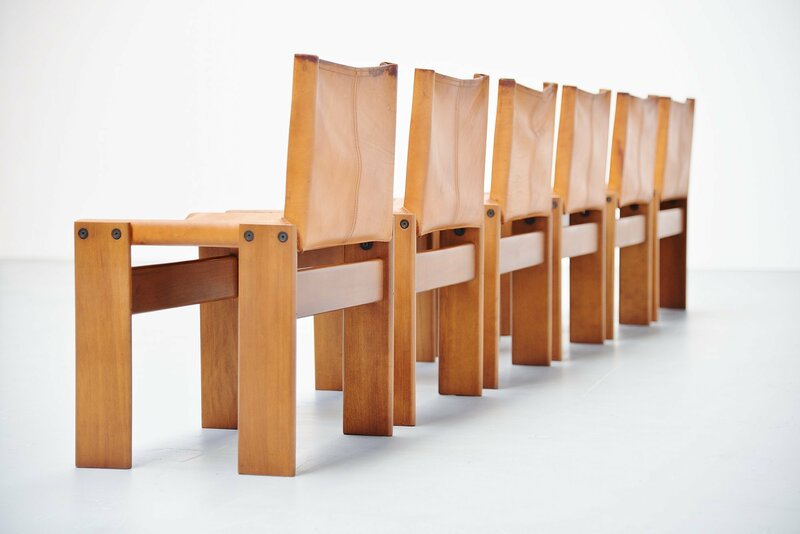 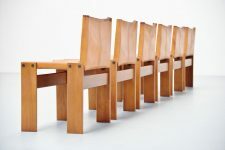 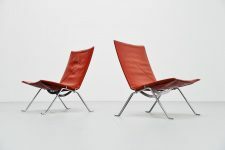 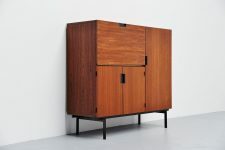 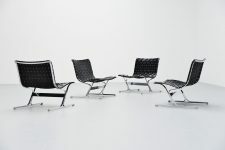 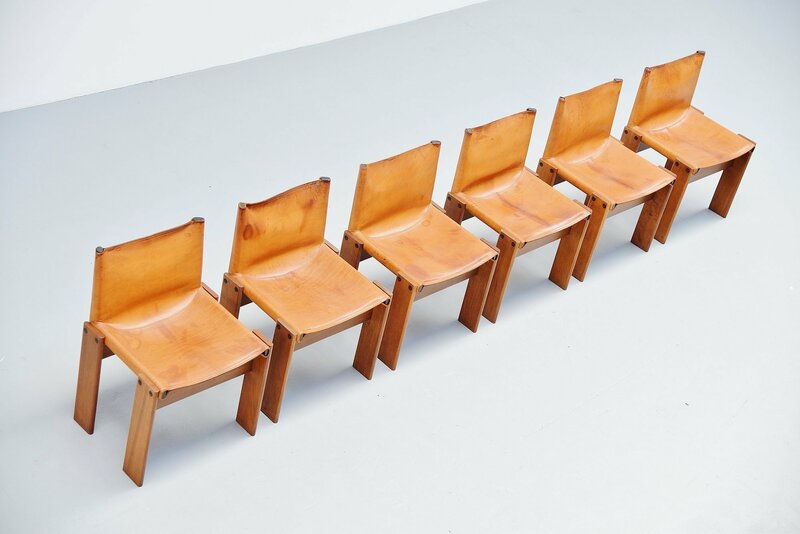 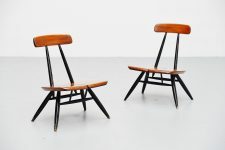 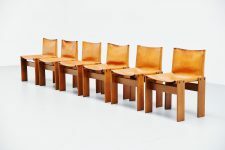 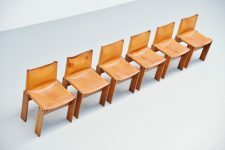 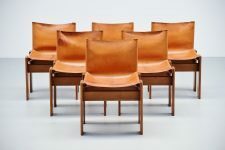 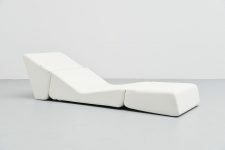 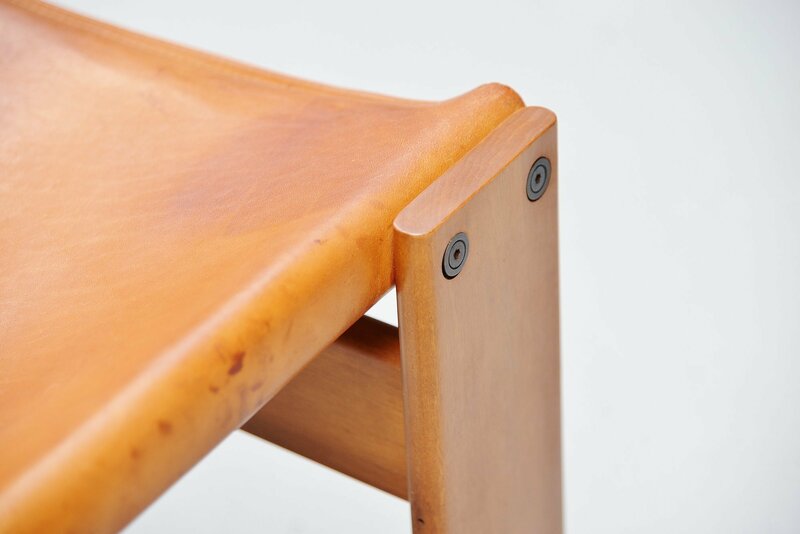 Spectacular set of 6 ‘Monk’ chairs designed by Afra e Tobia Scarpa and manufactured by Molteni, Italy 1974. 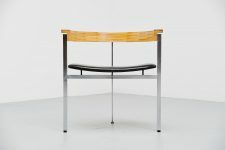 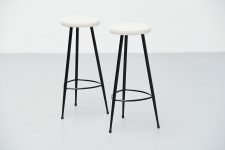 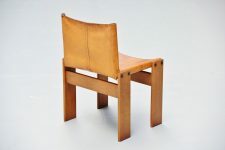 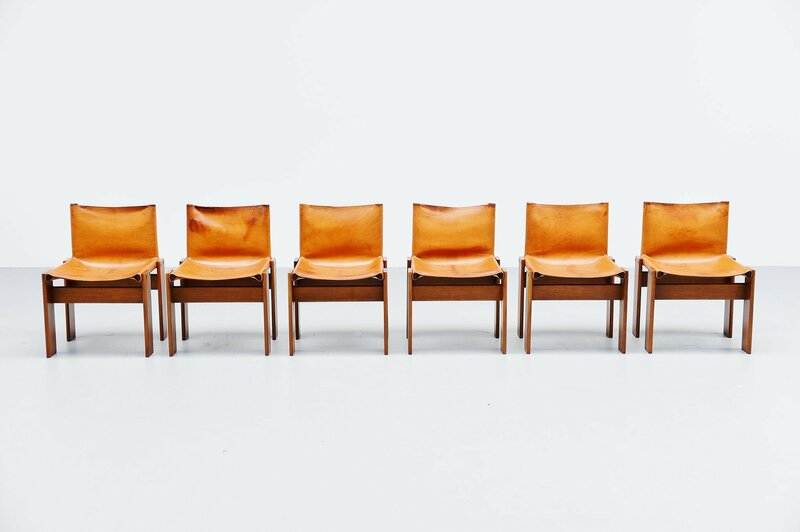 This is for a set of 6 chairs with solid walnut wooden frames and beautiful patinated natural leather seats. 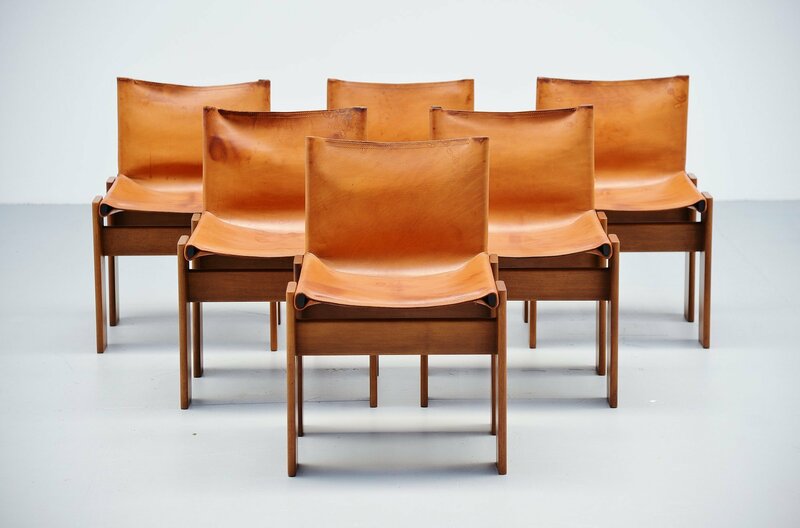 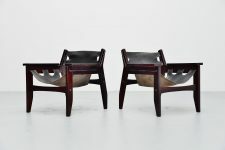 These chairs look really amazing because of the sober ‘monk’ look and especially in this superb patinated natural leather. 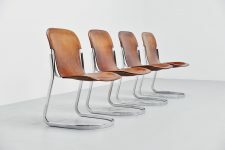 The chairs are in good condition 1 chair has a professional repair to one upper corner but besides that the chairs look great with the patina on them. 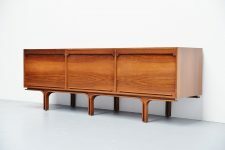 The wooden frames are in excellent condition. 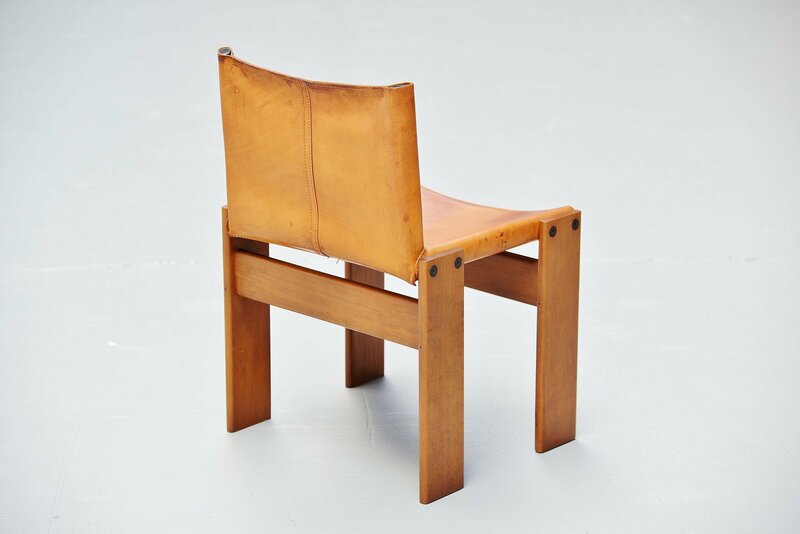 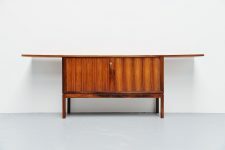 Hard to find in this combination of walnut and natural leather.